Learn Portuguese in the best way! If you want to learn Portuguese in a Portuguese Language School in Lisbon, PORTUGUESE CONNECTION is your best bet! If you’re just starting or want to go further. This summer, immerse yourself in the Portuguese language. Portuguese in the morning, painting in the afternoon. Learn Portuguese and enjoy the fabulous Portuguese wines. Learn a different variant of the Portuguese language. With highly qualified native teachers and a helpful and committed team, get ready for a unique Portuguese learning approach and for an experience of a lifetime at PORTUGUESE CONNECTION, the Portuguese Language School. Lisbon is a unique city where the Portuguese culture and traditions still live in our streets. This city has to be lived to be believed. No second hand account will suffice. The harmony of its shining light, the beautiful views admired while enjoying a glass of wine from a terrace bar on any of its seven hills, its traditional cafés around the famous squares, its food, the river and sea, and finally its people. Don't understand Lisbon, experience it. Go to the old traditional neighborhoods; talk with the natives to the sound of fado coming from a bar or surrounding building. You should definitely eat the tasty delicacies that the city has to offer. Visit also the local markets and fishmongers to take in their sights, sounds and smells during the early morning bustle before wandering through the historic centre. Or just go to the beach - another great option on offer. Lisbon needs to be experienced. Don't just put it off. This is one place you must tick off your bucket list. We promise you will forever remember fondly and deeply your time spent in one of the last hidden wonders of Europe. Is there a better scenario to learn Portuguese? Learning Portuguese in our school is enriching, because our teaching method combines the classroom classes with cultural activities in order to gain a deeper understanding of the language through continuous contact with various aspects of the Portuguese society. 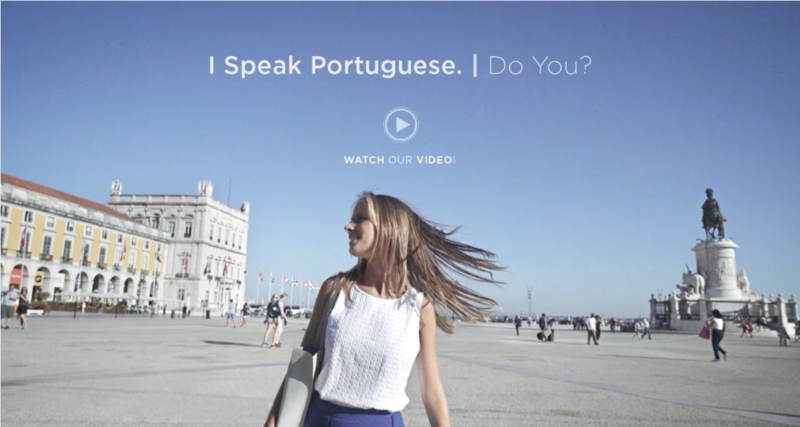 We think that the most enjoyable way to learn Portuguese is living together and interacting with Portuguese people and exploring the fantastic things the city has to offer. Our main goal is providing a rapid and comprehensive learning process for our students, while striving to offer a fabulous and remarkable stay in Lisbon!!! Come and learn Portuguese with us, and experience something truly memorable!!! Is there a better place to learn a language than the country where it is spoken and recognized as the native language? In Portuguese Connection we believe that the best way to learn Portuguese is to be constantly surrounded by the language. How? Where? In school, at home, in the street, going out at night, reading the local newspapers, watching TV in Portuguese and talking to local people, understanding their culture and way of life. We can define Portugal as a small country in land but big in small other things that turn its richness unlimited. The people, the food, the sun, the sea, the landscape, the wine, the streets, the buildings, the monuments, the music, the rivers, the islands, the peacefulness, and the culture, are key elements that make the oldest country in Europe one of the best destinations according to the opinion of the main international travel magazines and tourism awards. But above all, learning Portuguese in Portugal is the best way to learn and study the 6th most spoken language in the world because of the way you are welcomed by the Portuguese people. It is undoubtedly the friendliest nation of Europe, and this fact is very important to speed up your language skills by talking with nice people every day. The Portuguese never refuses to answer, and he’s always with a smile on his face when is approached by a strange. And that’s why learning Portuguese in Portugal is culturally and personally enriching, with the best language level achievements. Do you want to see with your own eyes? Learn Portuguese in Portugal with Portuguese Connection and live some of these experiences.